Back in 1995, Projectmates was founded to create a Web-based project collaboration tool for owners. Within two years, the company provided more than 100 construction and planning project extranet sites for Continental Airlines and American Airlines. Jump forward to 2000, and the company released its Web-based project management system, Projectmates. Since then, the company has steadily built its technology, designing modules for project management to meet the unique needs of the construction industry, specifically helping clients manage and collaborate on projects. Today, Projectmates has an expansive client base, which includes both traditional construction companies as well as real estate trusts, retail companies, healthcare facilities, educational institutes, and public sector groups. Its objective is to provide a platform that will help improve project execution and reduce risks on construction projects. The result is a platform for the complete lifecycle of a building — from planning, bidding, and building, to maintaining the facilities. Projectmates also believes that training is essential to driving successful adoption of a technology program. Thus, Projectmates University training courses and Webinar sessions are available to current Projectmates users for free. The company is constantly updating the library so customers can learn more about all the features that it offers. The company also takes a very strong stance on making sure that its client's data is secure — offering two-factor authentication that requires both a password and additional information only the authored user has access to. Projectmates is SOC 2 Type II compliant and the company routinely goes through complete eight-month strict evaluation processes. This will help decrease the chance of identity theft. It is a combination of the company's enthusiasm for serving the market, its commitment to innovation, and deep roots and in-depth knowledge of both technical requirements and industry needs that allows Projectmates to be one of the leading construction-technology providers in the space today. To read the article on Constructech, click here. 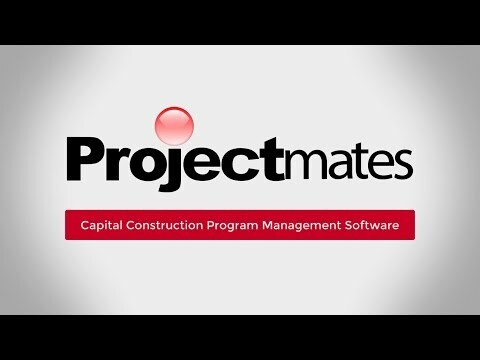 Projectmates recognizes the needs of the construction market today, understanding owners need solutions that are secure and easy-to-use. It delivers by partnering with its customers to help them succeed."